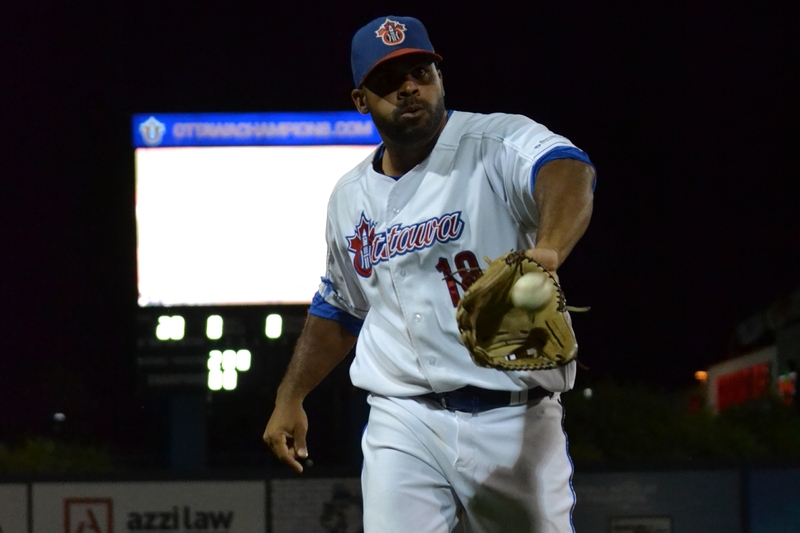 Former Quad Cities River Bandits pitcher Austin Chrismon threw a gem for the Ottawa Champions in Game 5 of the Can-Am League finals this year. 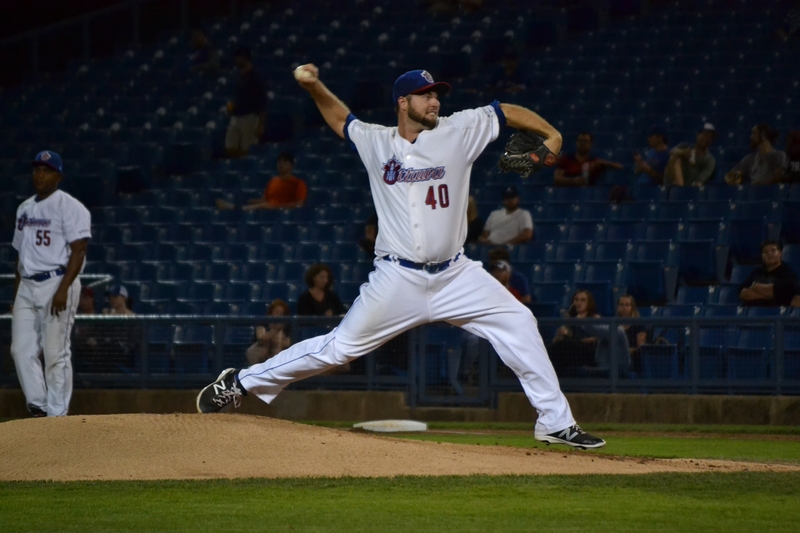 Former Quad Cities River Bandits pitcher Austin Chrismon starred for the Ottawa Champions in the game that clinched the Can-Am League championship for them earlier this month. Chrismon allowed only one earned run on six hits while striking out eight batters in nine innings of the series clincher. This came after he gave up three earned runs on five hits while striking out nine batters in seven innings of the series opener, which the Champions lost to the Rockland Boulders. Chrismon pitched for the River Bandits in 2015, going 4-1 with a 2.96 ERA, two saves, 31 strikeouts and five walks in 48.2 innings (11 games/seven starts). He went 8-4 with a 2.39 ERA, 108 strikeouts and 29 walks in 135.1 innings (20 starts) for the Champions this year. Former Wisconsin Timber Rattlers outfielder Sebastien Boucher manned centerfield for the Champions. He played for Appleton’s Midwest League team in 2005 when it was affiliated with the Seattle Mariners. He batted .326 with 2 HR, 31 RBI and 11 SB in 48 games with the Timber Rattlers. Boucher has played in the Can-Am League since 2009. He batted .291 with 8 HR, 55 RBI and 16 SB in 98 games with the Champions this year. 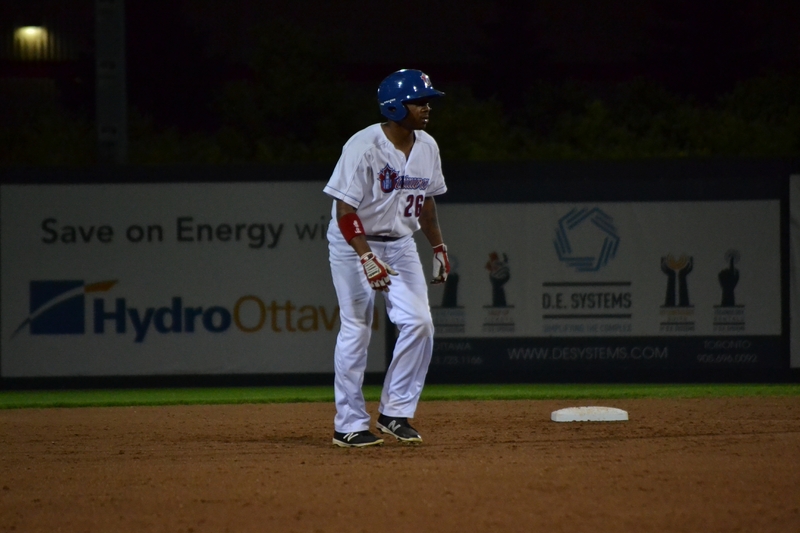 Ottawa Champions centerfielder Sebastien Boucher played for the Wisconsin Timber Rattlers in 2005. Ottawa’s rightfielder, Adron Chambers, played for the River Bandits in 2008 when Quad Cities was affiliated with the St. Louis Cardinals. He batted .238 with 3 HR, 25 RBI and 13 SB in 95 MWL games, and later played in 84 major-league games for the Cardinals (from 2011-13). Chambers played for teams in three different independent leagues this year. He played 24 regular-season games for the Champions, batting .304 with 1 HR and 10 RBI. Ottawa Champions rightfielder Adron Chambers played for the Quad Cities River Bandits in 2008. 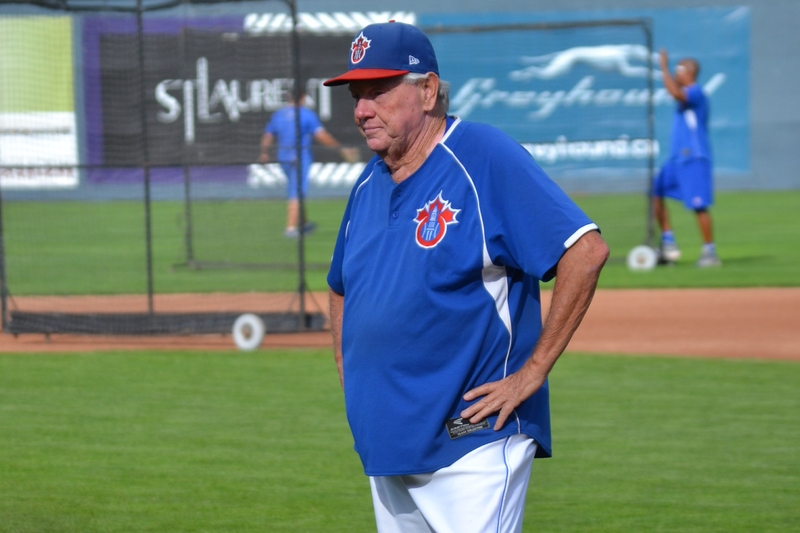 The Champions were managed by former Houston Astros skipper Hal Lanier (1986-88), who has been at the helm of an indy-league team for 18 of the last 21 seasons. Before playing 10 years in the major leagues (eight for the San Francisco Giants and two for the New York Yankees), he began his playing career in the Midwest League. He batted .315 with 1 HR and 25 RBI in 73 games with the 1961 Quincy Giants, for whom he played shortstop. This entry was posted in Can-Am League, Midwest League, Ottawa Champions, Quad Cities River Bandits, Rockland Boulders, Wisconsin Timber Rattlers. Bookmark the permalink.